The kit includes 32 count silk gauze, colour block chart and detailed instructions, Anchor stranded cotton, a suitable needle and a cast metal bellpull end. When completed, the stitched area measures 4½ x ½ inches. 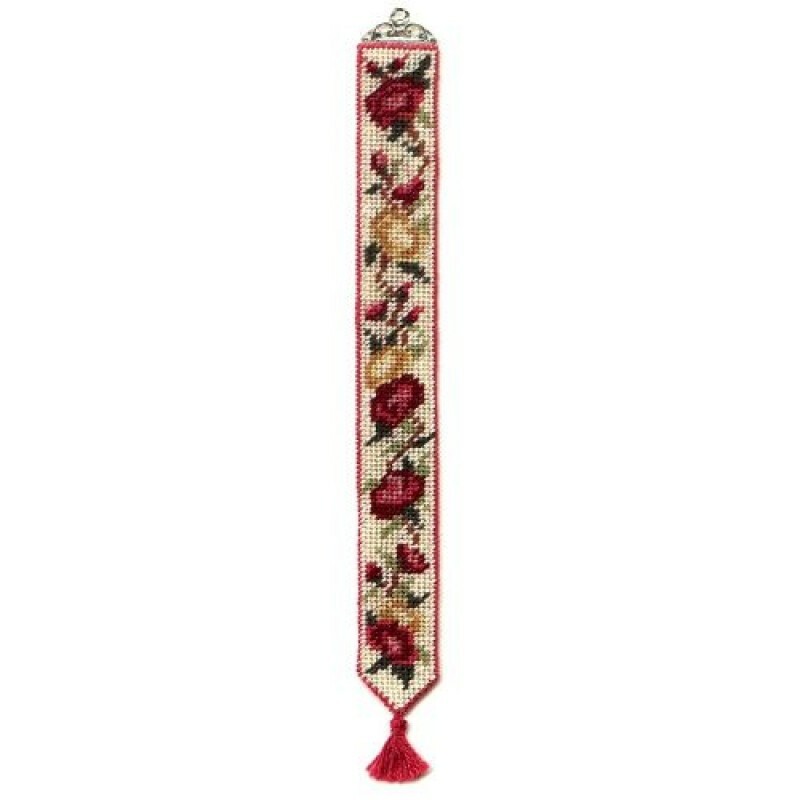 The traditional bellpull design – a string of rose flowers, in shades of deep pink and old gold, some full-blown, and some just in bud. A super design, which is easier to stitch than might at first appear! Suitable for any interior, from Georgian onwards.